That's a smart way of looking at it. I just spent a month in one of those Explorers (2019 model) as a rental car due to my Jeep Grand Cherokee being totaled. After a month behind the wheel of the Explorer, I ended up not liking it very much. It did have some cool things about it though. - Small gas tank means frequent fill-ups on road trips. I had the rental Explorer for the holidays and I couldn't even make it from South Jersey to the Poconos and back on one tank of fuel. In comparison to my Jeep Grand Cherokee, the Explorer just doesn't compare at all. The Jeep has it beat across the board. I can't think of one thing that's better in the Explorer, with the possible exception of the heated seats and steering wheel. The Jeep has that (along with cooling as well) and it works, but the Explorer seems to heat up faster and even a little hotter. Other than that, the Grand Cherokee is better in every other discernible way. But I guess you're really comparing the Explorer with the RDX and that's a harder comparison because the vehicles are really in different classes and so very different overall. Last edited by Tom2; 01-10-2019 at 12:37 PM. Honestly, the navigation system on the 2019 RDX is horrible. Compared to other factory systems, it's so lacking in features that it's ridiculous. You can't even set the zoom level on the map. You don't even get an address book. It's not intuitive to use and the voice controls don't work all that well either. Trying to send a destination to the car is hit or miss, sometimes it works, sometimes it doesn't. The entire entertainment system should have been designed with simplicity in mind. Or at least make it intuitive to use. It's a good car, but just don't buy it for the infotainment or navigation system. 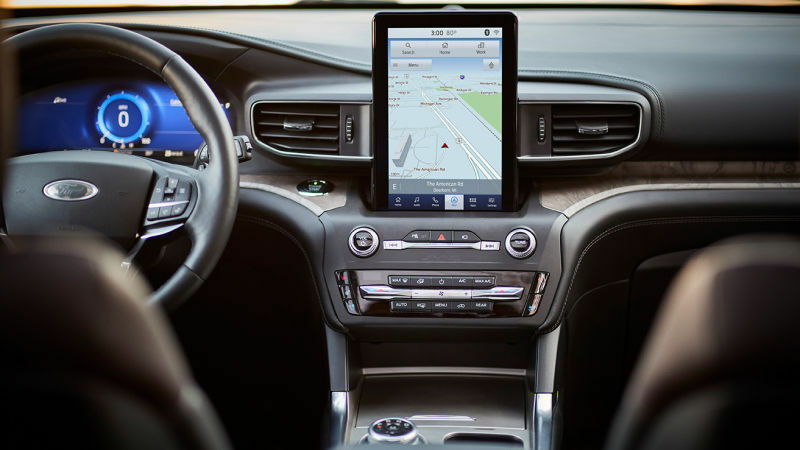 I think Acura may have really skimped on the navigation system thinking that most people will use Waze or Goodle maps for navigation instead, which is even more likely with Android Auto and Apple Car Play. So maybe that's why they made the factory navigation system so bare bones, but I think that's a major mistake. The lack of an address book in the navigation system is simply inexcusable. Who else does that? My grandmother used to tell my mom who used tell me, "When in doubt, do without." 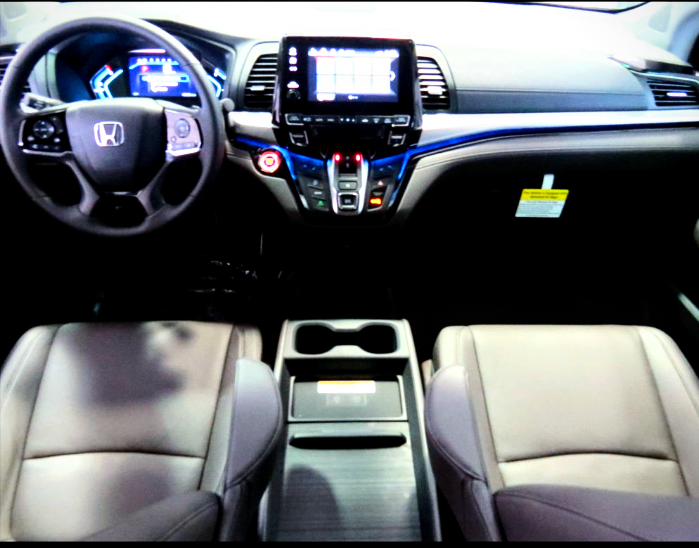 I was thinking that too.. regarding most using phone apps as to why Acura really glossed over the interface.. strange since they seem to tout high tech.. I think Acura may have really skimped on the navigation system thinking that most people will use Waze or Goodle maps for navigation instead, which is even more likely with Android Auto and Apple Car Play. Except there's still no Android Auto. The lack of an address book in the navigation system is simply inexcusable. The 2020 Ford Explorer's exterior didn't change dramatically, but the interior, electronics, and powertrain did. The Explorer has reverted to a rear-drive platform and now comes standard with a 300 HP 2.3L turbo I4 or optional 365 HP 3.0L turbo V6 - both with the 10-speed auto that's been used in other Ford and GM vehicles. Looks like someone left their iPad on the dash. 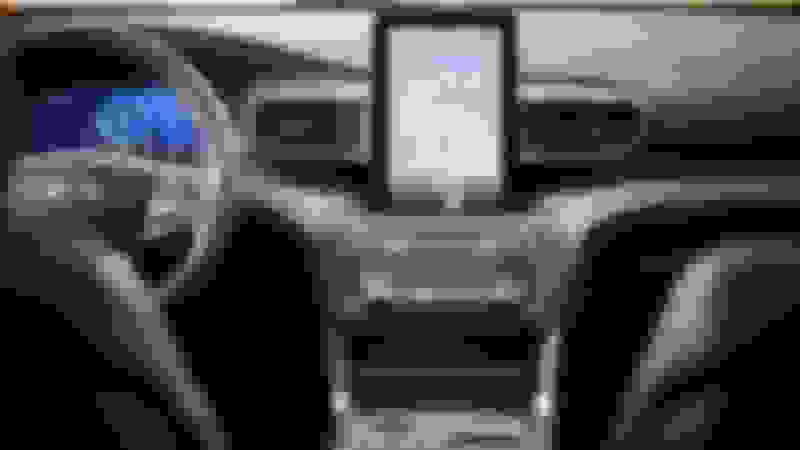 No more of a joke than the current Toyota Prius, Ram 1500, Volvos, Teslas, and other vehicles with relatively large, central touchscreens in a portrait orientation. 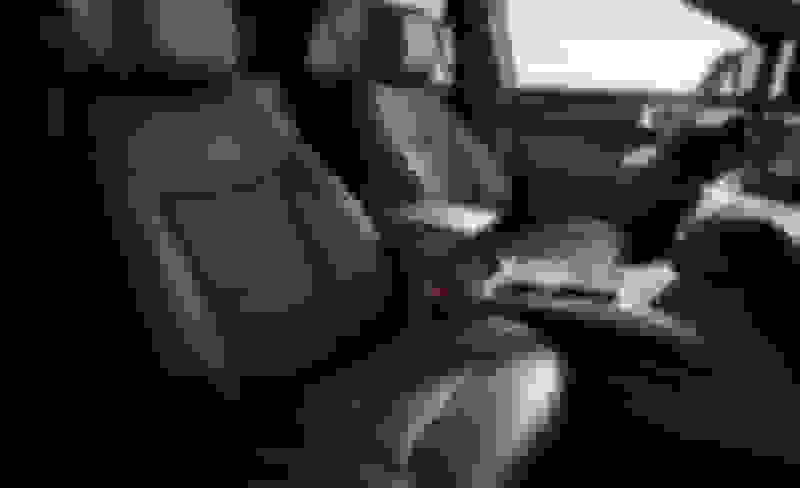 Last edited by zroger73; 01-10-2019 at 02:35 PM. Putting a tablet style screen in that orientation is a trend now. First time I saw that was in a Tesla. Now Volvo has it in most of their vehicles. And now Ford in the upcoming Explorer. But you know what? It makes sense. It's a better orientation for navigation maps for sure. initial impression is weird to me. at least lower it into the center stack. Either way looking at a screen at eyelevel or 6 inches lower is still distracting but I don't want to feel there is a computer monitor blocking my line of sight. No more of a joke than the current Toyota Prius, Ram 1500, Volvos, Teslas, and other vehicles with relatively large, central touchscreens. Except that most of those have a better implementation. This one literally looks like someone set their iPad up on the dash and just left it there. Huh? Eye level is the safer height to view a display instead of having to look down. The top of the RDX's widescreen display appears no higher than the Explorer's. In fact, the RDX's display appears to be higher. Is the 3.0L a second-generation Ecoboost wtih both direct and port fuel injection? The Ipad-like screen is a bit off-putting. I think the Lincoln Aviator looks much better. I'm curious to see what the '20 Jeep Grand Cherokee will look like. Also, there's talk on the Jeep forums that FCA will replace the 5.7L Hemi with a twin-turbo V6. I shouldn't talk because I get flak here for calling out RDX quirks and comparing to likes of Mazda but Ford Explore has some serious safety issue (one of the worst IIHS rating for SUV) and also poor reliability record. As noted above, this is just an interim vehicle. The next one will be a Lincoln Aviator, next gen JGC, or possibly a next gen Explorer. The 2020 Grand Cherokee will be a carryover from the 2019 models. You'll have to wait until 2021 for the new generation. BTW, I'm on my third Grand Cherokee with the air suspension and I haven't had any issues with any of them. Maybe I'm just lucky. Yeah, but can you pinch and zoom that bad boy? Me jealous. That interior is UGLY!!! It looks so damn cheap and minivan like. Ford is not known for their interiors...I have never liked their dash layouts. Had one as a loaner, loved it. Last edited by Midnight Mystery; 01-12-2019 at 09:16 AM. Reason: Love it! My friend just bought a new Odyssey. It's really nice. Makes me think I should just buy a Passport Elite when it comes out and call it a day (it's very similar inside). P.S. - I love the blue ambient lighting as seen in that picture. I'd love to check out the new Passport when it comes out. My loaner was an EX-L so it didn't have the ambient lighting, but I fugured it would look nice to compare to that Ford puctured above. I made a video of it, posted it in THIS thread! BTW, it drove really nicely and was really fast! I went on a long drive with him in his new Odyssey Elite and he pointed out all the great features about it (the Passport has all the same features). I like the RDX a lot, and still might get it (I'm torn) but the Passport Elite has LOTS of good things going for it. And yeah, his Odyssey drove great. I'm not a minivan guy but I'll check out your video. Isn't the Passport more of the MDX size? Right . I forgot about the Pilot. That sad moment when a minivan from a lesser brand has better ambient lighting than a premium SUV....yes I'm upset about it still lol. Well, not quite. The CRV is a closer match to the RDX and Forester. The Passport is 4" longer than the RDX and 8-1/2" longer than the Forester. More importantly, at nearly 79" wide, it's far wider than both (74.8" and 71.5" respectively). Sharing the wheelbase and overall width the Pilot, the Passport should feel nearly as ponderous as its big brother from behind the wheel. I want ambient lighting, damn it. And I don't care how much less I have to pay! It's completely outclassed by the Aviator's swanky interior, as it should be, but I don't hate it. The Platinum trim pictured below looks darn good to me for a mainstream brand, and is in a completely different league than the current car's. I'm not a fan of rotary shifters, but it's still better than Honda's button arrangement. I don't like the appearance of the portrait style touchscreen, either, but in my experience, such placements are less distractive and far more functional on the road. Plus, Ford maintained redundant controls for many functions. When it comes to a center stack, I'll take function over form any day. I hope you saw the crash test on it and that the IIHS said not to buy it and you knew they were changing the model for 2020. - CBS New Video on it's poor safety. Last edited by rgoldd; 01-14-2019 at 08:46 PM.